Mortgage, property taxes, closing costs, lender’s insurance, move-in expenses, and now someone wants you to buy home insurance? How much is that going to cost? Do you really need it? What could happen if you don’t have it? Read on, while we break it all down for you below. Home Insurance, homeowners insurance, house insurance, HOI — they all mean the same thing: protection of your most important asset. What, exactly, does it protect? The nitty-gritty details depend on your policy. However, a homeowners insurance policy typically keeps you safe in three different ways. First, it protects you against loss and damage to your home and possessions. Second, it protects you from liability for injuries to you or someone else that may occur on your property. Finally, a house insurance policy can provide financial protection against disasters. Basically, if a loss, injury, or problem occurs on your property, a home insurance policy can stand between you and financial or legal catastrophe. And that’s important. In some cases, you may not have a choice. Although it’s legal to own a home without home insurance, your lender may require you to purchase it in order to protect the property. After all, the house still belongs to the lender, at least until you pay off the mortgage. But even if you own your home outright, it’s still a good idea. Here are some common situations that come up for homeowners. I think you’ll agree that you wouldn’t want to face any of them without protection. What happens if someone hurts themselves on your property? What if they slip and fall off your porch? If your dog bites the neighbor’s child, who pays? The homeowner, that’s who. Daytime television is flooded with ads for personal injury lawyers. That’s because personal injury lawsuits are big money. How big? Big enough that when it happens to you, you’ll be happy to have the bill for damages and legal expenses go to your home insurance company instead of you. A family home burns down. Whether it’s from a cooking fire out of control, a lightning strike, or an electrical fault, a fire can leave you homeless. Can you afford to replace your home? What if you’re still paying a mortgage on the one that was destroyed? Or what if the fire doesn’t destroy your home, but the house needs five figures in repairs before you can move back in? Most home insurance policies cover fire and smoke damage, rebuilding costs, and more. And if it happens to you, you’ll be happy you’re protected. Graffiti and broken windows can be a nuisance. But what about more severe acts of vandalism? A homeowners insurance policy can help you to repair malicious damage and acts of vandalism big and small. Burglary is the nightmare of many a homeowner. You can lock your doors and windows, leave a light on, and buy a big dog, but someone might still break in. The chances of the police getting your property back are very slim. So, if you come home from work one day to find your front door open and your TV and electronics missing, won’t you be happy you have a policy in place that will replace them? Your water pipes freeze and burst. A heavy snow caves in part of the roof. While you’re on vacation, the cat brushes against a faucet handle, turns on the water, and floods your bathroom. Water damage can be incredibly expensive. But good news! Many house insurance policies will cover the cost of repairs in the event of water damage. What your policy covers depends on a lot of things. Different kinds of policies offer different levels of protection. While most policies cover the damages described above, there are other kinds of damages that are often excluded. Always do your research, and always read your policy documents carefully. Here are some things that most home insurance policies won’t cover. Many home insurance policies specifically exclude certain kinds of natural disasters. If your area is prone to certain kinds of disasters, such as floods or earthquakes, you may be able to buy special coverage. But it will cost you. Like natural disasters, almost no policy will cover damage caused by war or terrorism. Mold can be a threat to your health and to your home’s value. And getting rid of it can cost a lot. Unfortunately, most policies won’t cover the cost of mold remediation. Termites can cause thousands of dollars of damage to a house. Unfortunately, termite damage is commonly excluded from house insurance policies. What Are the Different Kinds of Policies? There are different levels of home insurance policies. All of them cover some degree of damage to the structure, damage or theft of contents, and homeowner liability. However, exactly which perils a policy covers depends on the policy. Some policies are very basic, and others are more comprehensive. In addition, you can sometimes buy special extra coverage for things like earthquakes and flood. Always research thoroughly before committing to a policy. Dwelling coverage is insurance for the house itself. It covers the building and attached structures. This may include the floors, walls, built-in appliances, and ceilings, as well as any attached structures, like an attached garage. It also covers a variety of perils including fire, hail, theft, and vandalism. In addition, dwelling coverage can help you rebuild your home in the event of a total loss, depending on your policy limit. This covers your possessions — furniture, clothing, electronics, and so on. If a covered incident were to occur, your home insurance would pay for the value of these items, as specified in your policy. This is a big one. Personal liability coverage will pay damages, bodily injury payouts, and legal costs, in the event that someone suffers an injury on your property. Dog bites, slip-and-fall events, accidents — and any legal action that might come of them. In addition, liability coverage may also cover damage to your property that occurs as a result of a covered accident. If you live in an area prone to certain kinds of natural disasters, you may be able to buy additional specific coverage for them. It can be expensive, but, thinking about the hurricanes, tornadoes, and floods that we see in the news, it might be well worth it. Flood insurance protects your house and belongings from flood-related damage. However, it is often a separate policy with its own deductible. If you live in earthquake country, you might consider protecting your investment with earthquake insurance. Water Backup / Sewer Protection. Most homeowners insurance policies do not cover your property in the event of a sewer failure. Imagine a blockage outside of your property. The water backs up, then suddenly your house and land are flooded with sewage! Your house insurance won’t cover cleanup, the house itself is a total loss. Worst of all, there’s no way you’ll be able to unload the property now. Unless you’ve bought water backup protection. If you have an older home, you might do well to consider ordinance or law insurance. This will help you to rebuild or retrofit your older home in accordance with current building codes, following a covered loss. 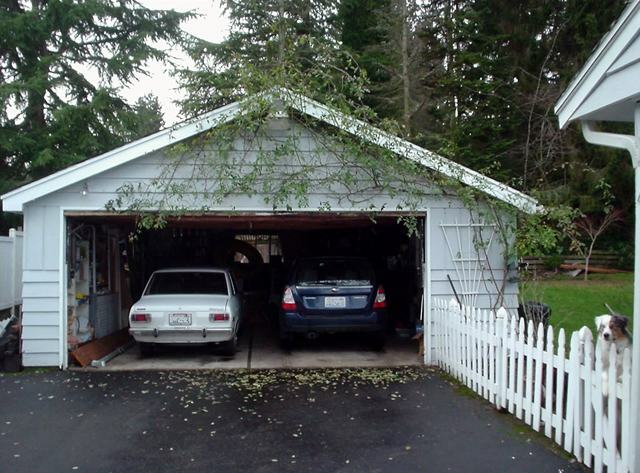 You can also buy coverage for other structures on your property, like gazebos, sheds, or unattached garages. There are many, many different kinds of additional insurance policies for your property. And choosing wisely can save you a lot of money and grief in the long run. Insurers consider a number of factors when determining policy prices. First, where you live is an important factor. What are the local property values — that is, how much would it cost to replace or rebuild your home? Is the area prone to natural disasters? Next, they consider the home itself. How old is the home? What is your home’s value? The average cost of homeowners insurance in the United States is $1,083 per year. Oregon has the lowest average: $504. The highest average is Florida, with $2,055. If it sounds steep, consider the cost of rebuilding a home. In addition, try breaking it down into monthly payments. All things considered, you might find it quite affordable after all. Where Can I Get Home Insurance Quotes? A search on “home insurance quotes” will turn up hundreds of results in your area. Many insurance companies have online calculators or forms for requesting a quote. Perhaps a better strategy would be to choose your insurer. Once you have figured out the basic type of coverage you want, check out insurer ratings and reviews from organizations like JD Power and Associates and The Better Business Bureau. JD Power conducts surveys of product quality and customer satisfaction, and they have lots of reports about various house insurance providers. The Better Business Bureau can let you know about any complaints against insurers you may be considering. At first glance, home insurance may seem like just another drain on your wallet. But it’s a small price to pay compared to the cost of replacing your home. And with careful research, you’re sure to find the home insurance policy and the insurer that’s right for you.